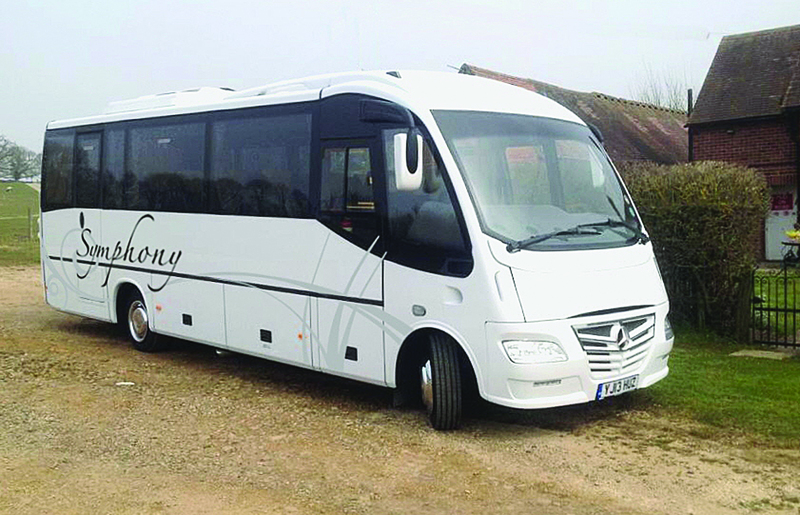 A Mercedes-Benz 0816D based Sitcar Beluga 3 has been added to the fleet of Symphony Chauffeurs. Powered by a Euro5 engine matched to an Allison automatic transmission, it has 29 Vogel Eco seats, a large luggage area, side mounted pannier lockers, a power operated plug type door, a Sutrak air conditioning system and an entertainment package. Moseley in the South supplied the vehicle.